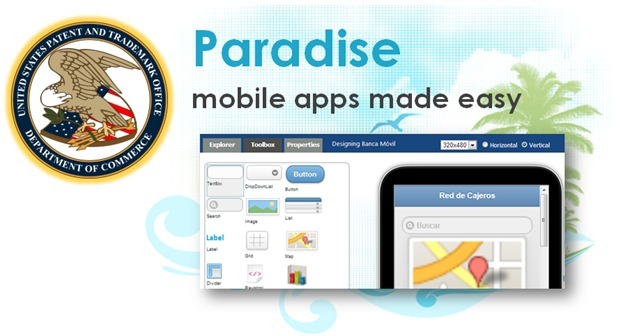 We are glad to inform that our Platform for Rapid Mobile Development “Paradise” in recent days received provisional Patent Office U.S. Patent. 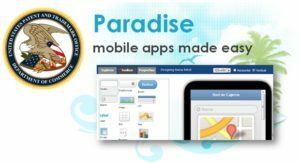 Paradise is a graphic platform that enables organizations to build their own mobile applications in minutes, without any programming knowledge, allowing to focus on the value that you want to provide. With Paradise banks and businesses can easily create their own mobile applications for its customers and partners by providing access to corporate information systems, which is an innovative, fast and effective new approach. Paradise was built with support of SENACYT entrepreneur funding and with this support, we worked with the goal of reaching a new level of recognition in the software development arena.